On March 17, 2013*, Tom Jenkins was working at an oil refinery when he was injured in a corrosive chemicals accident. His co workers immediately sprung into action and, following safety protocol, helped Tom to the nearest cubicle shower where he could wash off the dangerous chemicals. The problem was that Tom needed help to stand up inside the cubicle, but there wasn’t room for more than one person. The size of the shower complicated the job of his co workers and first responders, losing vital time in treating Tom’s injuries. Leaders at the refinery realized something needed to change, so they called ATS for help. By innovating, collaborating, and focusing on protecting employees, ATS changed the industry. Changing the way safety showers work can make all the difference in an accident. At the time of Tom’s refinery accident, there was only one door and only room for one person in a cubicle safety shower. So, if someone needed help standing under the water stream, or if first responders needed to treat the victim while in the shower, they were out of luck. That is, until ATS designed customizable safety showers with more than one door and room for more than one person. Because of our commitment to innovation, we are able to offer customized safety showers that fit the needs of your location and will give your employees peace of mind. In addition to finding a safety shower solution to the issue that Tom Jenkins faced, ATS worked diligently to uncover additional problems that refineries encounter. We collaborated with industry leaders to address numerous issues, including small spaces, doorways where an an eight-foot assembled shower won’t fit, extreme weather conditions, and areas where digging is too expensive or impossible. Our collaboration with oil and gas industry leaders led to the creation of better, customizable safety showers. Tom Jenkins’s experience underscored the importance of protecting employees and led us to reaffirm our commitment to provide the safest showers on the market, and to prevent safety shower accidents. The oil and gas industry can be risky for workers — the fatality rate among oil and gas extraction workers is about seven times higher than among U.S. workers in general, according to data from 2003 to 2013 from the Centers for Disease Control and Prevention. And, according to the 2013/2014 UK Health and Safety Executive, it costs a company $10,000 per non-fatal injury and about $2 million per fatality. So it’s no surprise that safety accidents are a top concern among industry leaders. 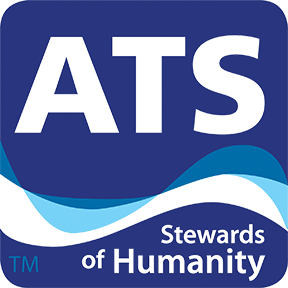 At ATS, we aim to provide the best safety showers for each environment to give employees the peace of mind they need to focus on their work and not worry about whether help will be available in case of an accident. As a result of Tom Jenkins’s accident, safety showers were changed forever. ATS is committed to continually find new ways to innovate, to collaborate with industry leaders, and to keep our focus on protecting employees. *NOTE: This is a true event. Names and dates have been changed to protect our client and its employees.